The movie is out. The reviews and box office numbers are in. 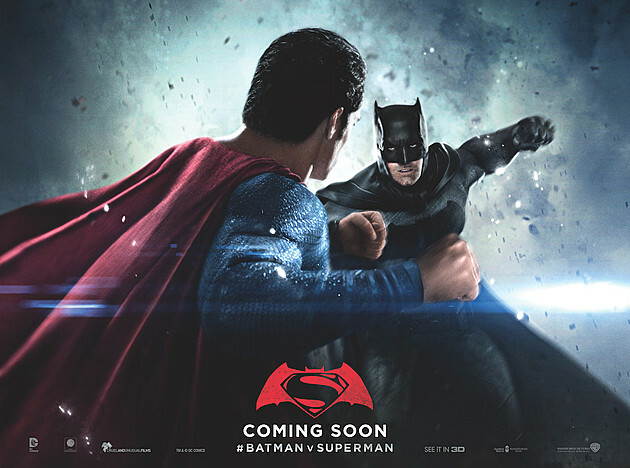 Now that Batman v Superman: Dawn of Justice is here, the question is, how will Warner Bros react? Here are a few options. So the movie is out, people went to see it… and critics basically panned it while the audience was more forgiving. With an average score of 5 out of 10, the movie received a positive review from only 29% of critics, a huge drop off from Man of Steel’s 56%. When a score is in the fifties (or thereabouts), this mean the movie has critics divided. A score like B v S received is much more clear. However, the audience was at 70%, coming in with an average 3.7 out of 5, so that means the average movie goer liked Dawn of Justice. I’m starting to think that they told their friends something like, “It was OK.” This occurs to me because the movie’s box office dropped 68% from opening weekend to the next and a catastrophic 81% from the first Friday to April 1st. Even Superman Returns didn’t suffer a drop like this, so despite the fact that many fans did like Dawn of Justice, Warner Bros is going to react. Well, they’ve already started. Suicide Squad is reportedly filming reshoots right now, and rumor has it that the cost is expected to exceed $10 million. That tells me that either their enormous cast gets a huge bonus for reshoots or they are making a major change to the film. I expect it’s the latter as reshoots are fairly common – they’re just not usually this expensive. Clearly, Warner Bros is not going to stick with the status quo – that’s why they’ve ordered reshoots on Suicide Squad. WB could fire Zack Snyder and replace him a la Latino Review’s April Fool’s Day joke. Ben Affleck seems like an obvious candidate since he’s there anyway. They may be too far down the rabbit hole at this point to use this option, but it’s clear WB is disappointed in the box office for Dawn of Justice, so who knows what another disappointment could mean – if there is one. WB has scraped so many DC movies in pre production, like all Superman reboots they tried to get off in the ground in the 90s and before Superman Returns as well that other weird World’s Finest movie where Lois and Clark get divorced and the Joker kills Bruce’s wife on their wedding night because Lex Luthor… whatever. The point is, there was clearly a plan to make more flicks after Superman Returns and they junked it. If they’re willing to do that (that flick cost over $200 million and made nearly $400 million), then they’re willing to do anything. I know personnel at WB has changed, but if John Peters still got to be the executive producer on Man of Steel even after all of that Superman Lives nonsense… I’m just saying, WB does what WB does. Since they’re reshooting at least some bits of Suicide Squad already, this could signal a shift in tone. You imagine that people who work at WB have shareholders they must answer to and, presumably, this includes investors who aren’t necessarily interested in the movie business but are in the business of making money, so they could simply point at what Marvel is doing and insist that they “make it more like that.” I think a bit of this is already happening – again, the reshoots. Ultimately, we’ll have to wait and see, but I think it’s likely that WB is gravitating toward duplicating what Marvel is doing with Disney and backing off from the darker, grittier version of the DC Universe the originally planned. If anyone were to ask my opinion (“which I note they’re not”), I’d say fire that hack Zack Snyder, critic doo-doo, and get another direction. And then, don’t capitulate to Marvel. I enjoy DC because it isn’t Marvel, because it’s heroes are iconic, because they have actual villains, and because they’re not so overladen with humor that it takes me out of the scenes. DC just needs to make good movies with what they got and that starts with finding a better director. Shouldn’t be too hard to find one better than Snyder. I agree, Snyder needs to go. His Christopher Nolan impression isn’t working – he doesn’t know where the line is. “He’s a habitual line stepper.” It’s not just the directing – the writing needs help, too. They need to recognize that Superman and Batman are totally different characters, and so far I feel like they have not. Their so-called gritty approach is supposed to differentiate them from Marvel, but so far, their execution has been less than spectacular. If they just focus on the story and worry less about what Marvel’s doing and what they’ve done before, we’d all be a lot better off. Perfectly said. There’s plenty of foundation material now in these two movies for them to really build these characters: redeem Batman so he’s no longer broken and depressed, and with Superman make him that beacon of hope they promised us in Man of Steel. It all starts with firing Snyder. Terrio’s script had potential but man, dat execution. If I was running Warner Brothers, I’d scrap everything and start over again. I feel that they have tumbled too far down the rabbit hole. For me, once Superman snapped somebody’s neck and deliberately murdered someone, his character was broken. Now no matter what this Superman does, I’ll always have that tumbling around in the back of my mind. Yeah, and if they had made it work, like it did in the comics (shocking as that was for him to murder the phantom criminals then), then we’d be in a whole different boat. For sure, it’s ballsier than Marvel’s been, but ballsy with good storytelling makes all the difference. Yep, that’s the problem – they need to focus on good storytelling and not shock value. Or whatever the hell this is. Haha, yeah I guess it’s shock value? These characters can speak for themselves. They have the history to prove it. Also, your avatar is perfection. Hey thanks very much! That made my day!